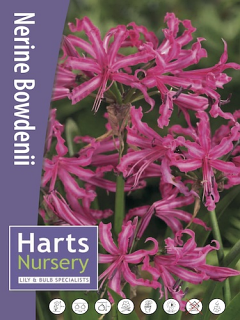 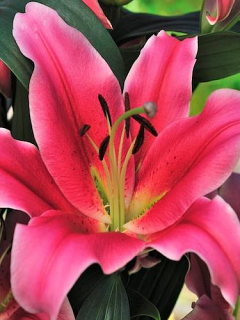 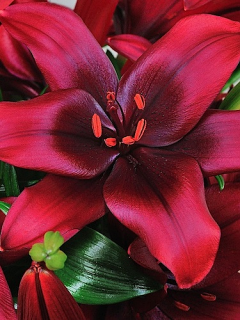 Hansonii is an easily grown and adaptable species though rarely seen, Lilium Hansonii is found in Korea and Japan where it is known as 'Gakeshima-Yuri'. 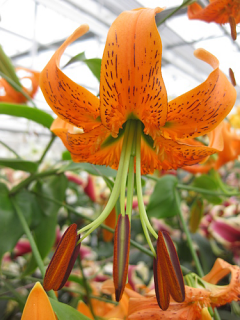 Preferring a damp soil rich in leaf-mold and dappled shade, Lilium Hansonii produces thick, fleshy flowers in a rich orange colour. 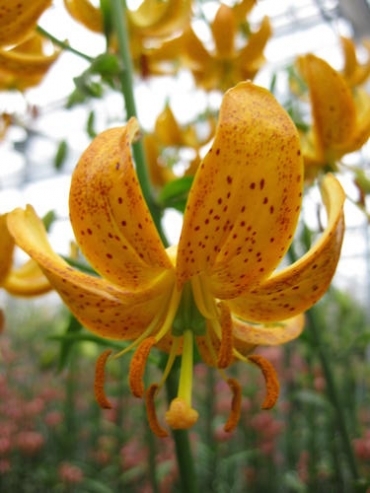 This Martagon lily is a very virus resistant species and should be grown more in the garden. 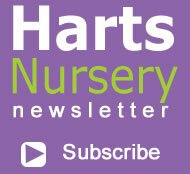 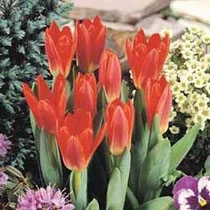 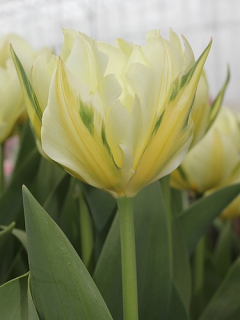 L.Hansonii is to be planted in the Autumn and it will bloom in early Summer.